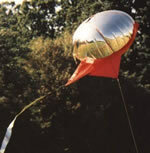 The ‘Helikite’ is a combination of a helium balloon and a kite with two models recommended for the purpose of bird control. 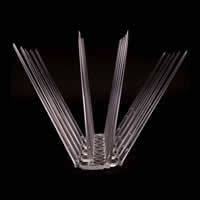 The two versions of the Helikite offered for bird control are the ‘Vigilante’ Helikite and the ‘Lightweight’ Helikite. The essential difference between the two products is that the ‘Vigilante’ Helikite has a tough mylar protective cover that will prevent the balloon from becoming damaged if it falls to the ground in strong winds or in rain. The Lightweight Helikite is designed to be used in conjunction with lightweight collapsible aluminium Helikite Poles for use on buildings, landfill sites and for the protection of high-value crops that have good crop cover. The Lightweight Helikite cannot be used on winter crops, overnight or anywhere where the balloon may come down on bare ground when wet. The Lightweight Helikite is ideal for use in hot climates due to the lighter construction. The Vigilante Helikite is a more versatile balloon due to its protective heavy-duty mylar cover and therefore can be used for all agricultural applications irrespective of crop-type and for most other bird-scaring applications. The Helikite, unlike conventional kites, will fly when there is no wind at all due to the helium gas used to inflate the balloon. Unlike most balloons that are shaped like kites, the Helikite is fat and rounded which is essential to provide good helium lift. A conventional kite-shaped balloon will collapse when it hits cold air due to shrinkage of the gas inside the balloon and subsequent loss of pressure required to retain shape. 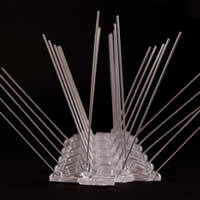 This is not a problem for the Helikite due to its unique shape. The Helikite will also fly in winds of up to 25 mph unlike a conventional balloon, with the wind actually generating uplift rather than bringing the kite down. In winds of above 25 mph the drag caused by the Helikite will bring the balloon down. Although the Vigilante Helikite will come down in rain, the protective mylar cover supplied with the product will ensure that the balloon is not damaged. Once the rain abates and the Vigilante Helikite dries out the balloon will re-launch itself. The Lightweight Helikite is more vulnerable and may become damaged when falling to the ground. As previously mentioned, the Lightweight Helikite is designed for use with the Kite Pole, a 13 metre, lightweight collapsible aluminium pole with just over 12 metres of line extending from the top of the pole to which the Helikite is attached. Each section of the Kite Pole has a ring attached to the side of it through which the Helikite flying line runs. The benefit of the Kite Pole is that in the event of strong wind or rain, the Lightweight Helikite will remain tethered to it rather than plunging to the ground and becoming damaged. The Kite Pole will collapse down to 130cm x 4cm x 8cm allowing it to be transported easily. The pole can be tethered to a fence post or a similar vertical object or it can be held in place with guy ropes. The Helikite is really just a variation on the predator balloon theme with the product being marketed as a device that mimics the flight of a bird of prey as it hunts. The Helikite would normally be used for agricultural applications with one of the main benefits of the product being that it will climb to a very considerable height and, as a result, is visible over a large area. The Vigilante Helikite will cover and protect an area of up to 8 hectares (20 acres) and will ascend to 60 metres (200 feet) in ideal conditions. The Lightweight Helikite will achieve a height of up to 300 metres (1000 feet) in ideal conditions. Although the Helikite is not shaped or coloured to resemble a bird of prey, the manufacturer suggests that due to the erratic flight pattern of the balloon it will be perceived as a danger by most species of birds. Although most birds rapidly habituate to conventional predator balloons, the manufacturer of the Helikite suggests that there is considerably less chance of habituation with this product. According to the manufacturer the Helikite has many applications for use as a bird scarer including agricultural sites such as arable farms, livestock farms, fish farms and fruit farms as well as numerous urban applications including sports centres, office blocks and hotels. Broadly speaking the manufacturer recommends Helikite for virtually every bird control application, rural or urban. The manufacturer also suggests that the product can be used for the control of a wide variety of bird species including widely controlled urban/rural species such as the pigeon and the gull. The main advantages of the Helikite is that it is silent, unlike many conventional scarers, requires little or no maintenance other than topping up helium gas and it is easy to move, a strong requirement for bird scarers. Although the Helikite looks quite fragile it is in fact quite rugged with the mylar cover on the Vigilante model protecting the balloon when it falls to the ground. The Helikite balloons are also easy to transport with the Vigilante fitting into the boot of a standard saloon car with ease. Running costs for the Helikite are relatively low with the manufacturer suggesting that the Vigilante will only use “...a few pence worth of gas a day.” This combined with the relatively low purchase price of both the Lightweight and Vigilante Helikites make the product a cost-effective option when considering bird scaring products. The disadvantages of the Helikite is that it cannot be flown in the rain and the device will require human interaction if it is to be moved regularly to reduce habituation. The Helikite cannot be flown in strong winds either and therefore, if sited in a rural location and some distance away from human habitation, the user will need to be in the position to be instantly responsive in the event of gales or high winds to prevent potential damage to the balloon. The Department of the Environment, Food and Rural Affairs (DEFRA) is the UK’s Government body that oversees the Wildlife and Countryside Act and produces legislation to which the pest control industry must adhere. The following information is taken from a document provided on DEFRA website entitled: ‘Review of international research regarding the effectiveness of auditory bird scaring techniques and potential alternatives’. By J Bishop, H McKay, D Parrott and J Allan. 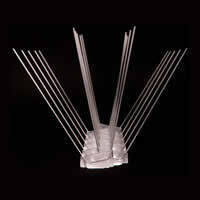 We have included the relevant sections on both balloons and kites as the Helikite range is part kite, part balloon. To date we have been unable to find any user reviews for The Helikite but we will update this section as and when user reviews are made available to us. If you are able to provide a user review for The Helikite please contact the Pigeon Control Resource Centre. The Helikite is an interesting variation on the predator balloon and offers the user a relatively inexpensive and maintenance-free bird scaring option for more entrenched bird-related problems. The device provides a good bird-scaring option for applications where noise or other visual media has the potential to cause disturbance to humans or farm animals. The Helikite can be used for urban bird control applications as a complementary control but there will be numerous logistical problems inherent with this usage. The ‘Lightweight’ Helikite is recommended for urban applications and it is likely that in most cases the product would be tethered to a ‘Kite Pole’ where it is less likely to cause problems when the balloon is brought down in strong winds or rain. The Helikite is extremely easy to transport with the ‘Lightweight’ Helikite fitting into a coat pocket when uninflated. 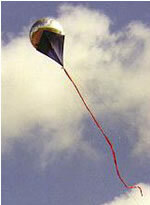 The ‘Kite Pole’ is also relatively easy to transport reducing down to just 1.3 metres by 8cm when collapsed. Most bird scarers will need to be moved regularly in order to be effective and to keep habituation down to a minimum, so the ease with which this product can be transported is a major plus point. The range of birds that will be deterred by the Helikite is also impressive making the product ideal for use in areas such as landfill sites. The Helikite is praised for its effectiveness as a bird scarer on both manufacturer and distributor websites but these views are not shared by DEFRA where the use of balloons and kites are concerned. DEFRA suggests that habituation to these products is normal, in some cases within a matter of days, and that both kites and balloons pose no real threat to pest species of birds. DEFRA also suggests that kites and balloons are only effective for a short period in small areas. As with all bird-scaring products, it seems likely that the Helikite will only be effective if provided as part of an overall control system involving other scaring products with, where appropriate, anti-perching products. Operational problems include the requirement for the user to apply for a written licence from the CAA if flying the Helikite within 5 kilometres of an aerodrome or airport and the obvious problems inherent with the Helikite coming down in strong winds or rain. The Helikite will also need to be moved regularly, again in an effort to reduce habituation, and this will require human interaction. The helium gas will also need to be topped up from time to time but we have no information on how easy or difficult this process will be and how often it will need to be carried out. We have contacted the manufacturer with several questions about The Helikite but they have failed to provide the information and therefore this review is less than comprehensive as a result.